Introducing Show-Score, an online community created just for you. The Concept: Founder and CEO Tom Melcher, thinking about Rotten Tomatoes (for movies, of course) and TripAdvisor (for travel, of course), envisioned “a website that organizes critic and consumer reviews, easily compares discounts, and sends alerts about upcoming shows from artists and companies” for theater. Think: A group of avid theater-goers who review shows they attend, share insider info on what’s playing in the NYC-area on any given day, and get rewarded for sharing via discounted or comped theater tickets. How it works: Sign up for Show-Score through email or facebook. Start rating and reviewing. Get rewarded: Show-Score shares available discounts, but the site also provides them. If you write 5 reviews, for instance, you are able to receive $5 tickets to certain shows. Every month, the Fairy Stage Mother grants wishes to theater-loving members. Seriously, make your wish by entering it on the site – FSM may make it come true. Make a wish! Current Contest: Win a private screening of “The Greatest Showman” — an original musical inspired by the imagination of P.T. Barnum — in your hometown theater. Hugh Jackman stars, supported by Michelle Williams, Zac Efron, Zendaya and more familiar talents. Exclusively for you and as many guests as the venue can hold! Enter easily here. 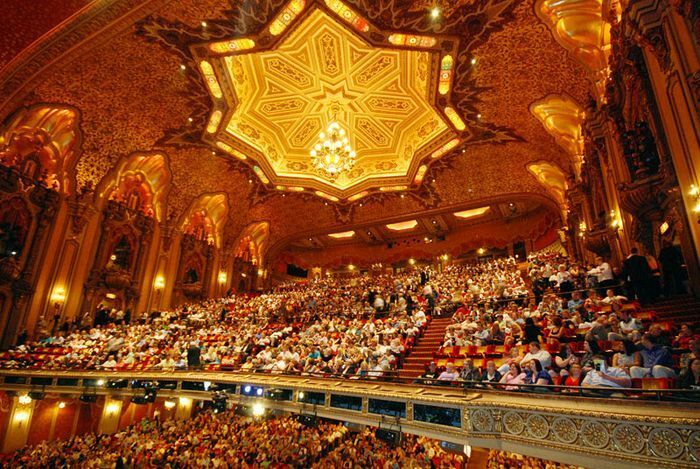 Bottom Line: Show-Score will get you the richest theatrical experiences in the NYC area without denting the bank.